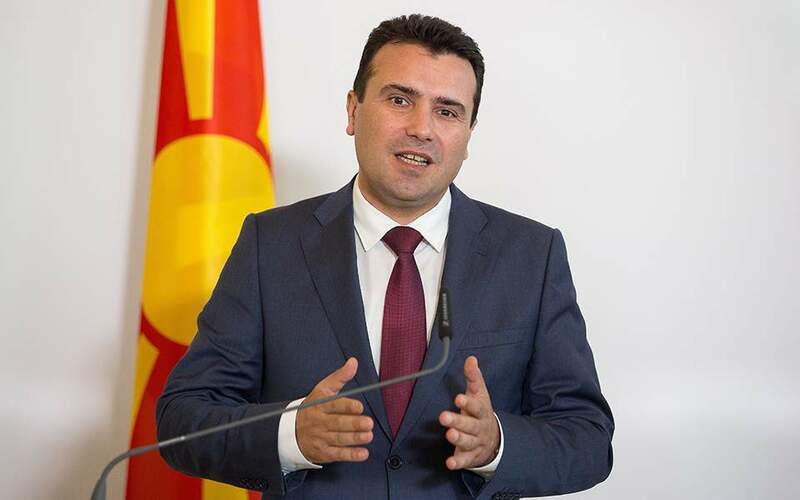 In an interview with Buzzfeed, the prime minister of the Former Yugoslav Republic of Macedonia, Zoran Zaev, claimed that his government has received multiple reports that “Greek businessmen” who are “sympathetic to the Russian cause” paid FYROM citizens to “commit acts of violence” ahead of a referendum scheduled for later this year on whether the Balkan country should change its name so it can join NATO. Zaev made the claims during an interview in Skopje on his return from the NATO summit in Brussels last week where FYROM was officially invited to join NATO. According to Zaev, the alleged payments ranged from 13,000 to 21,000 dollars. He declined to name who was behind the alleged payments, however, citing an ongoing investigation and the sensitivities of diplomatic relations surrounding the country’s bid for NATO membership. Buzzfeed cited him as saying that police learned of the payments after detaining several participants in violent protests outside FYROM's parliament in June. His claims came a few days after Greece decided to expel Russian diplomats, citing evidence that they had sought to inflience protests against the Macedonia name deal between Athens and Skopje.